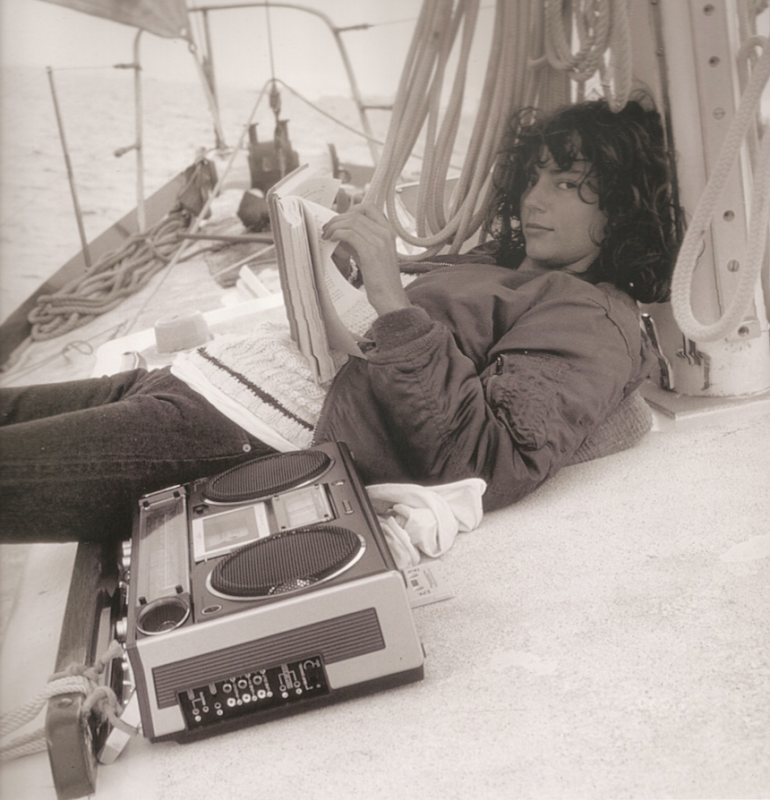 Photo of actress, director, and screenwriter Rachel Ward off the coast of Newport R.I. by Stan Shaffer scanned from You Should Have Been With Me: A Photographic Scrapbook by Stan Shaffer. I love her curly hair. I wish mine could look like that when I wear it curly. Would you consider doing a post on Marie Colvin in honor of her passing in Syria? I think she embodied a lot of what this blog is about: smarts, courage, an iron will...Just a thought. I love her casual style and the boom box! She does ooze confidence. I love that look in her eyes, lots of clear and determined spirit. Rachel Ward is sexiness personified - what an expression and what a photo. I keep meaning to watch "After Dark, My Sweet." WOW, after seeing this photo,I investigated further, Rachel Ward looks even better now if that's possible. What a great photo. She exudes confidence. Against all Odds! Love, my 80's icon!